BOULDER, Colo. – The USA Eagles’ historic match against the New Zealand All Blacks at Soldier Field, sponsored by AIG, is officially sold out, USA Rugby announced Friday. Tickets for the Nov. 1 match at the 61,500-seat home of the National Football League’s Chicago Bears were first released to registered fans June 13 through a unique pre-sale opportunity. By the general on-sale date, June 16, 20,000 tickets had been sold. The highest attendance ever for an international rugby union match in the United States – 20,181 – was recorded at a match between the Eagles and Ireland at BBVA Compass Stadium in Houston, Texas, June 7, 2013. The Eagles’ match against the New Zealand Maori All Blacks at PPL Park in Philadelphia, Pa., last November set the record for a largest sell-out crowd with 18,500 tickets sold. A record crowd in the stands will also be dwarfed by the number of viewers watching the live broadcast on NBC. Universal Sports Network will host a pre-game show at 2 p.m. CT before NBC begins its live telecast at 2:30 p.m. The official match kick-off time is 3 p.m., but fans are encouraged to get to their seats early to hear Jim Cornelison and SOL3 MIO sing the national anthems of the United States and New Zealand, respectively, and to see the world famous haka performed. Select merchandise is already available for sale on Shop USA Rugby, with a wider assortment of gear set to be sold in the stadium. Fans without tickets can still experience rugby fever in Chicago during the week of the match. 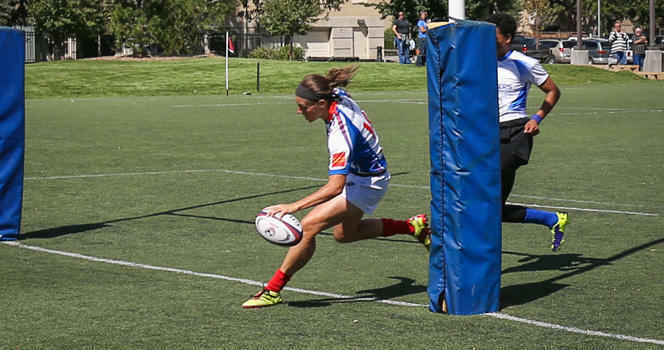 A Rookie Rugby Festival, organized by AIG, the Illinois Youth Rugby Association, and USA Rugby, will be held in Jackson Park Saturday, Oct. 25. More than 30,000 kids in Chicago have been introduced to the flag version of the sport with AIG’s Rugby in a Box initiative, and they will demonstrate what they have learned with each other. Rookie Eagle, the Eagles’ mascot, will take a tour of Chicago Wednesday, Oct. 29. The famous Chicago Bean and the Willis Tower Skydeck are just two of Rookie’s afternoon destinations, with a mouth-watering finale scheduled. Union Station will be the scene of the VIP rugby event of the year in USA Rugby Trust’s USA vs. All Blacks Gala. Select Eagles and All Blacks stars will be in attendance, as will more than 700 attendees. While registration for the Gala is closed, interested donors will have the opportunity to bid on a selection of memorabilia during the auction. On match day, the #USAvAllBlacks Fan Fest will help kick off the festivities in Soldier Field’s Stadium Green. Fans can interact with rugby activities from AIG, Heathrow Express, World Rugby Shop, and Smith & Forge Hard Cider, while Astellas Pharma US, Inc., and Men’s Health Network will provide free health screenings. For more information on events and game-day activities, visit the official event website. New Zealand is playing an international match in the United States for the first time since 1980. The game in San Diego drew a reported 14,000 fans, who witnessed a New Zealand win. The All Blacks are the current Web Ellis Cup Trophy holders following a Rugby World Cup win on home soil in 2011. “We are really pleased that American sports fans have responded so strongly to this very special opportunity to see their national side take on the All Blacks,” said Steve Tew, chief executive of New Zealand Rugby. “This is a great result for USA Rugby, as well as New Zealand Rugby’s key sponsors, Principal Partner adidas and Major Global Sponsor AIG, who have all worked very hard to help make this test a success. Both the Eagles and All Blacks have announced their November Tour rosters. USA Rugby reached an agreement with Premiership Rugby to release U.S.-eligible players for the match in Chicago, which is not in the IRB’s end-of-year-test window. Follow live match updates from kickoff at Soldier Field on Twitter with @USARugby and the #USAvAllBlacks hashtag. Submit a video for the #AnswerTheChallenge campaign on Facebook, Twitter, and Instagram and be entered to win two tickets to the match and touch line access to the All Blacks’ cultural challenge, the haka. The Legacy Agency has acted as USA Rugby’s exclusive commercial agent for the match. "We are really pleased that American sports fans have responded so strongly to this very special opportunity to see their national side take on the All Blacks."